Don’t take it personally. While the media’s indifference to that pitch you worked so hard on can feel disheartening, try not to be offended or discouraged. In many ways, it’s just part of the business. The bottom line, however, is that many organizations simply don’t know how to capture the media’s attention. The good news is that with a few small – but important – changes to your proactive media relations approach, you can significantly increase your odds of getting reporters’ attention and enticing them to provide you with coverage that can translate into valuable exposure for your association and help raise awareness about what you’re doing. Way too many PR and marketing teams continue to resort to what I like to call the ‘carpet bombing’ approach to media pitching. They create a standard pitch email and then blast it out to hundreds or thousands of journalists in hopes that something will stick. They have a name for that. It’s called spam. Carpet bombing reporters wasn’t an effective pitching technique back in the 1990s. And it’s even less effective today, when journalists are getting hit with exponentially more information every day through email and social media. My advice to the PR and media relations teams of today is to spend WAY less time blasting pitches to hundreds or thousands of journalists. Instead, dedicate those precious hours to truly hammering out what your story angle should be. Long before anyone emails or calls a journalist, you need to articulate exactly what the story is. Easy, right? Not so fast. This is the step that most organizations get wrong. They pitch the reporter on the story THEY want to tell. It’s a very common (and almost always unsuccessful) first move. Instead, you need to reverse engineer the process. Forget your agenda for the time being. Start at the other end of the process. Start with your target audience. Who are they? Where do they live? What do they care about? Once you’ve identified your target audience, the next step is to figure out how the thing you want to talk about (e.g. your event, launch, service, initiative, announcement, etc.) maps to their interests. Approach this process from a place of objectivity. Take off your marketing hat and really try to view the story through the audience’s eyes. This is the first step to changing the tone and approach of your pitch to make it more attractive to your audience and the journalists who serve them. Many organizations have difficulty with this step. They have trouble crafting a story angle that’s rooted in the audience’s needs and interests instead of those of their association. Should that really be a surprise? We’ve become so accustomed to creating marketing messages and then shoving them out to our audiences that many of us are hard-wired to behave this way, even when it comes to media relations. To really break through and connect with your target reporters, you need to zero in on ‘the story’. This can actually be a long and painstaking process. And without this step, your pitches will not have a high chance of success. It’s a short list. But I can guarantee you that every media story ever produced has had one of more of these drivers at its core. Go ahead. Grab today’s paper (or visit its site) or tune in to a news broadcast and see for yourself. When you look at it through this lens, you’ll see that every single story hinges on one or more of these news drivers. The ongoing federal election has all three, which is why it will continue to lead the news cycles until election day. Instead of email blasting 300 reporters and editors a generic pitch about the new safety standards your association is recommending, maybe you spend several weeks researching and brainstorming how those standards could make a difference in your jurisdiction. You find out that a local child almost died recently because the rules you’re pushing for didn’t exist at the time. Rather than a bland news release, this story is an emotional interview with the child’s parents. And maybe it’s an interview with his doctor talking about why these new safety standards will save lives. It’s a set of cold, hard statistics about the number of similar incidents that took place last year. By investing the time and energy before you make the pitch, you create a story that is compelling, engaging and informs the public of an important change your association was instrumental in creating. That headline was enough to get the attention of journalists and parents alike. And it was backed up by solid research, great quotes and useful tips for parents. The pitch resulted in a significant amount of media coverage in the United States and many of the stories used that 61% figure in the headline. The result? The Red Cross got the media coverage they were looking for. And, more importantly, in doing so they probably saved some lives. Once you decide who your audience is and what media outlets they’re paying attention to, the next step is to put together a media list. I’m not talking about using an online service that will spit out the names of 4,325 reporters in your province. I’m talking about someone on your team painstakingly creating a list of individual reporters who cover the topic you want to talk about. Your list should capture their name, the news outlet they work for, their email address, phone number, Twitter handle, etc. Depending on your story and where you operate, what you’ll end up with is a list of between a handful and a few dozen names. Once you’ve assembled this list, it’s also a good idea to have your association and key executives and communications people follow those reporters on Twitter. You don’t have to reach out to them at this point. It’s just about making a connection. They may or may not follow you back. But that’s not the point right now. Over time, you may see that one of these journalists has written an interesting story that hits on the subject matter your association is interested in. Favourite their tweet. Send them a quick tweet saying you enjoyed their piece. They’ll see it. They’ll click on your profile. And even if they don’t respond, you will have elevated your relationship from strangers to acquaintances. You’re one step further along the media relations path. When it comes time to actually pitch your story to your list of reporters, there are a few important guidelines to keep in mind. You need to have a great (and short) subject line. Resist the temptation to oversell or spin. Always use their first name in the email. Try to keep your pitch to less than 10 sentences. Don’t ‘bribe’ them with tickets, swag, etc. It just doesn’t work. Let them know how they can get in touch with you. Resist the urge to call them to ‘follow up’ on your email. Trust me. They got it. A phone call will only annoy them. Use your pitch to demonstrate that you have researched their beat and their audience. Make sure you know the audience you’re pitching to and tailor your pitch to make it relevant. Provide content. Follow up. Understand issues associated with the pitch. That’s the story. Don’t expect to simply be promoted. Think of the potential audience – why would they care about what you’re pitching? Simple – tell the truth. Pitching journalists isn’t rocket science. But there are some specific things that many organizations need to do differently in order to get reporters to pay attention to them and their stories. Always start with your audience in mind. Hang your story on one or more of the drivers of news. Cultivate relationships with reporters. Choose targeted outreach instead of carpet bombing. Craft short, thoughtful and relevant pitches that demonstrate your understanding of the audience. 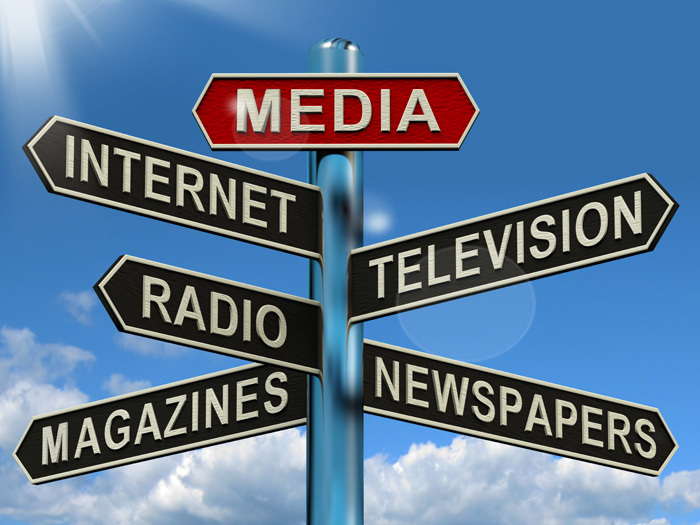 Do all of these things and you will be well on your way to generating more positive media coverage for your association. Warren Weeks sold his first newspaper to his grandmother at the age of five, was Wayne Gretzky’s PR handler for a day in 1998 and, in the spring of 2010, started the viral social media campaign to get former NHL coach Pat Burns in to the Hockey Hall of Fame. Connect with him on Twitter at @ElevenPR.